Lucinda Low's practice includes representing audit committees, boards of directors, and companies in internal, government, and international financial institution audits, investigations, and enforcement matters involving fraud, bribery, corruption, and other compliance issues. Lucinda is recognized by Chambers market commentators for her "incredible technical proficiency, spectacular advocacy skills, and cultural know-how." She has particular authority in matters involving the US Foreign Corrupt Practices Act (FCPA) and other anti-bribery and anti-corruption laws, and other international business compliance issues. According to Chambers, clients concur that Lucinda is "very impressive" and credit her with "an attention to detail that is second to none." In the FCPA/anti-corruption realm, Lucinda helps clients develop and implement customized compliance programs tailored to their business risks that meet regulatory expectations, assists with due diligence in M&A and other transactions, provides risk-mitigation and risk assessment strategy, conducts internal investigations, and defends clients in government investigation and enforcement matters, including multijurisdictional investigations. She also has significant experience in investment disputes between foreign investors and host governments, and commercial arbitration, including serving as counsel, arbitrator, and an expert witness. Lucinda serves as a member of the firm’s Management Committee and heads the Compliance, Investigations, Trade and Enforcement Department. She also leads Steptoe’s Brazil-specific initiative incorporating a focus on FCPA/anti-corruption compliance and enforcement work. Lucinda's FCPA/anti-corruption experience includes extensive work in Latin America, including Argentina, Bolivia, Brazil, Chile, Colombia, Costa Rica, Ecuador, Guyana, Mexico, Nicaragua, Peru, Uruguay and Venezuela, as well as several Caribbean countries. As a complement to her practice, Lucinda assists in the creation and supervision of the International Law Guides, a web-accessible compliance tool designed to provide corporate subscribers and their employees with detailed information on local anti-corruption laws around the globe. Lucinda is a member of the Board of Directors of the Coalition for Integrity (formerly known as Transparency International – USA), and also a member of the Secretary of State’s Advisory Committee on International Law. She is a former President of the American Society of International Law and a former Chair of the ABA Section of International Law. She was the 2003 recipient of the William Ray Vallance Award presented by the Inter-American Bar Foundation, presented to an individual who has made a significant contribution toward improving the law and jurisprudence of the Western Hemisphere. Lucinda is fluent in Portuguese and Spanish, and has lived in Brazil on two separate occasions. Served as arbitrator appointed by the United States in The Canadian Cattlemen for Fair Trade (CCFT) v. The United States of America, a multimillion-dollar, multiple-claim UNCITRAL arbitration arising under the NAFTA (2005–2008). In addition to Lucinda, James L. Bacchus and Prof. Dr. Karl-Heinz Böckstiegel served on the Tribunal. Over the course of her legal practice, Lucinda Low has been involved in AAA, ICC, LCIA, ICSID, and other institutional and ad hoc arbitrations. She was one of the first US lawyers to argue a claim before the Iran-US Claims Tribunal. Her arbitration experience encompasses representation of investors and host states, as well as service as an expert witness and as an arbitrator. Lucinda has previously served as an advisor to the Government of Canada on trade and investment matters, acting as a reader for the Trade Law Bureau in its successful defense of the Chemtura v. Canada case brought under Chapter 11 of NAFTA. She has extensive experience with NAFTA in both trade and investment matters, as well as with treaties and other international agreements more generally. 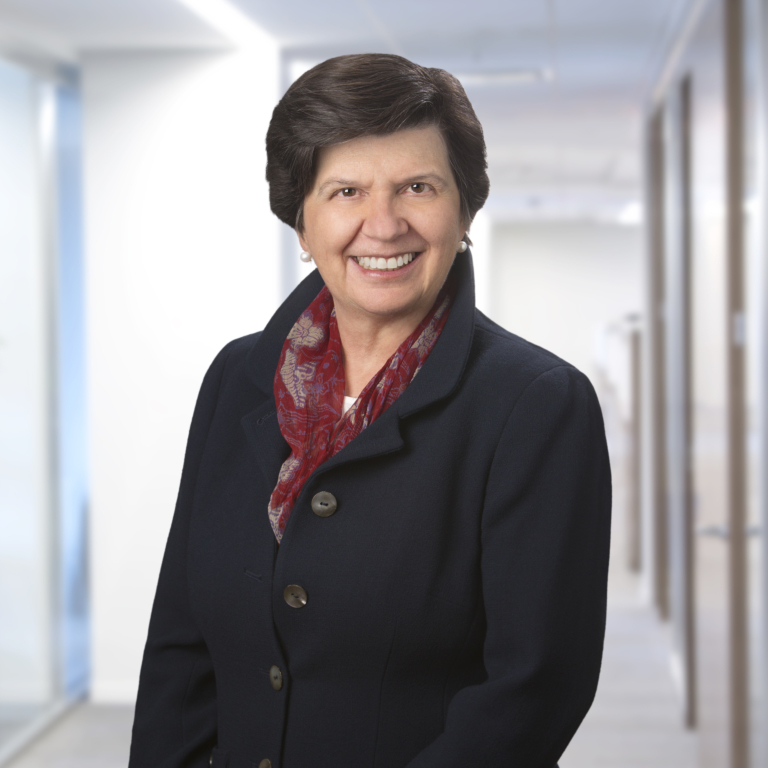 She served on the panel of arbitrators in the BSE Chapter 11 case (Canadian Cattlemen v. United States), the first class action-type claim under NAFTA Chapter 11, and is currently advising clients on other investor-state disputes. She currently serves on the US Department of State's Advisory Committee on Public International Law, and as the President of the American Society of International Law. Lucinda is the presidential appointee to the Panel of Conciliators of ICSID and recently was appointed to serve on ICSID's Panel of Arbitrators by the president of the World Bank.